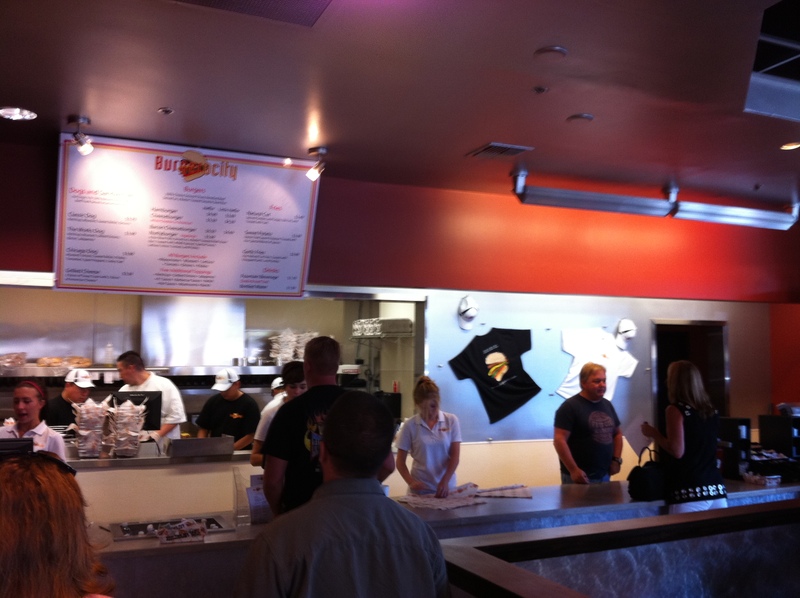 Folsom has a new burger joint in town called Burgerocity. 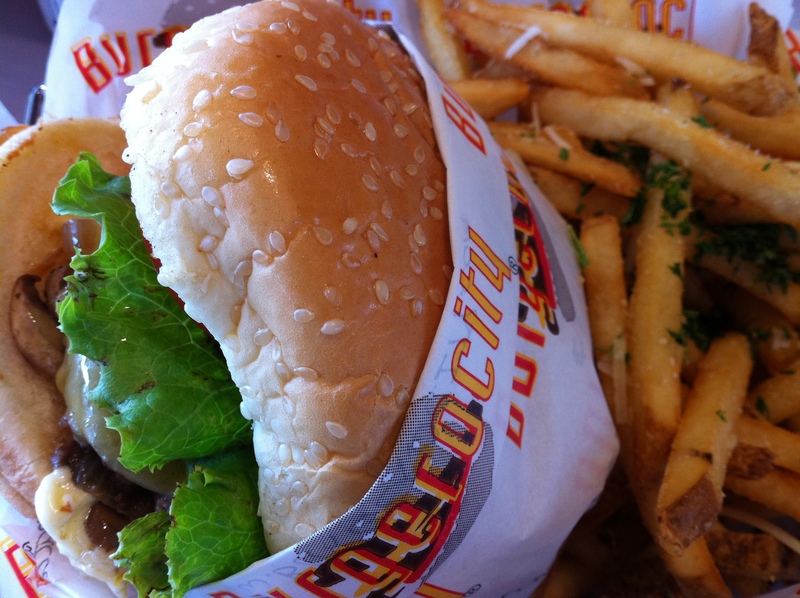 I have been reading about Burgerocity on Facebook for several months now, reading their updates about the new place, the menu, ingredients, the photos of the decor, the day that Good Day Sacramento stopped by and more. Today I finally went over to check them out. 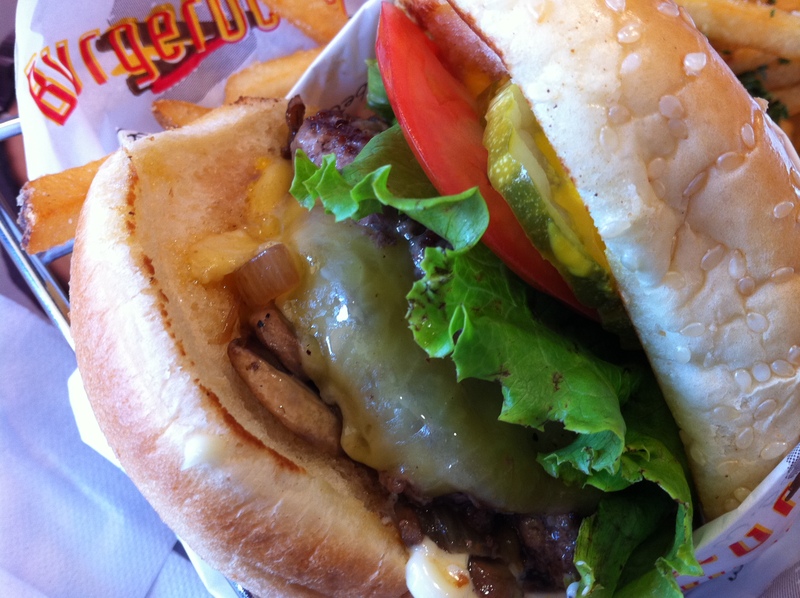 Unlike most typical fast food burger joints, this place touts its their quality of food that sets them apart from the competition. (I liked hearing that, my quest was to find out if is true, it is). For their burgers they use Certified Hereford Beef that is fresh and never frozen, and they say that the cattle are grown on a grain and grass fed vegetarian diet with no hormones or fillers, 100% chuck. That sounds great to me! This place also has a vegetarian Nuttyburger that I hear is really good along with 100% Kosher Beef Hot Dogs, including a Chicago Dog version. I like their outlook and simple menu. bat I have to give them props for having a very nice outdoor seating area with plenty of tables, inside it was equally nice with a good open streamlined decor that fit the place perfectly. 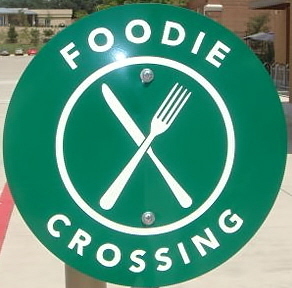 The restaurant was packed, word is already getting out about this new place, I saw several people there that I knew and they all looked very happy. I ordered the “Heffer” (two patties) with Cheddar, Mushrooms, Grilled Onions and the works $5.99 along with an order of Garlic Fries $2.99. After ordering, I got my soda and found a table, my burger came up in about 5 minutes. All in all it was a very good meal, I related this place to a cross between 5 Guys Burgers, Smash Burger, and The Counter. The double burger, fries and soda I had came to under $12.00, that’s not bad, I think next time I’ll try the Heffer with jalapeno’s. I would recommend this place. My only lament is that they don’t serve beer, but that’s not always a necessity.